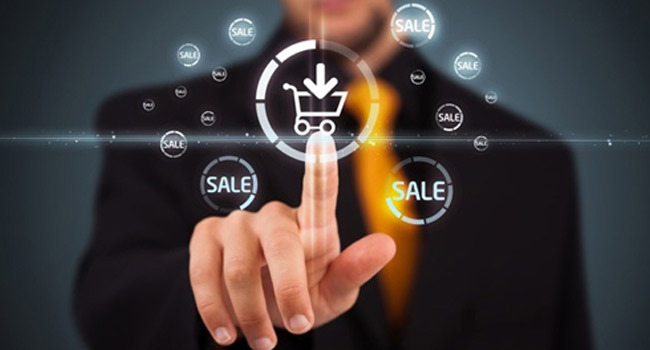 An eCommerce Web Store is a good medium to sell your products to a worldwide audience. A webstore lets you do your business without the barriers of Time or Distance. As per a survey in 2013, 83% of users made online purchase using a web store. According to eMarketer’s latest forecasts, worldwide business-to-consumer (B2C) ecommerce sales will increase by 20.1% in 2014 and outreach to $1.500 trillion. Many options are available for designing and developing an eCommerce web store. 1) Common Functionality and Features that are a must for running your eCommerce store? 2) Technology or Framework to be used @minimum cost? Start Ups, Small and Medium size business groups sell their products online using the best and cheapest options as it saves lots of $ at start and still provides a framework that makes business possible. VirtueMart is an open source extension of Joomla CMS developed in PHP framework and is a widely chosen by these businesses. In this article we will discuss about the important features of VirtueMart that your eCommerce store must include, out of the many available. Below is a comparative table of must required eCommerce features and their availability wrt VirtueMart framework. Searching & Filtering By default searching feature is available in VirtueMart extension.For further enhancing the filter option one can integrate readymade plugins of VirtueMart. Shopping Cart VirtueMart provides default feature of Shopping Cart Management.Customization to default functionality is also possible in shopping cart as per your needs. Featured Products Requires integrating an Extension for Featured Products. Related Products Need to integrate Free Extension for Related Products. Checkout For easy & fast One Page Checkout, you can use VirtueMart’s readymade extension. Payment Gateway By default VirtueMart provides Authorized.net and PayPal payment gateway integration. Mobile Compatible Site For making your website mobile compatible you can integrate 3rd party extension with your store.Another way is to customize coding through HTML & CSS. Social Media Presence Integrate social media extension for various social networking sites. Searching & Filtering are significant features for your eShop makes more user-friendly website. Searching functionality gives the facility to search any product by its name, brand or manufacture details. Filtering facility gives user to refine their search by more product attributes such as product type, color and size. By default searching is available in Virtuemart. For filtering feature you can integrate readymade 3rd party extension with your webstore. Shopping Cart is the most important and necessary functionality for your eCommerce website. It helps customers to collect their interested products into one place (i.e. in Shopping Cart) and make combine payment for all products in the cart. VirtueMart provides default feature of Shopping Cart. You can also make customization in default functionality of VirtueMart Cart as per your needs. By displaying featured products on your home page or on the side columns of your site that informs your customers about featured & special products. The products can be top selling and special offered products or it can be general products. To include this feature on your webstore requires an extension available as free. It is a great up-selling feature shows your customers about related products they can purchase along with the main product. You can display meaningful related products that actually help your customers for using the main product. For example, you can put Mobile Flip cover and Headphones with Mobile products that will insist your customers to purchase those products also. If shoppers have committed to buying a product then your job is to get them through checkout as quickly as possible. In Checkout process customers have to fill their Personal, Shipping & Payment details to place the order. Most online stores assume the best way to modernize purchases is to reduce the number of steps in a checkout, hence the popularity of “One-Page” checkouts. For “One-Page” Checkout you have to integrate 3rd party readymade extension. Choosing the perfect payment gateway solution for your site will give assurance about your products to customers. By default VirtueMart supports Authorized.net and PayPal payment gateway. For other payment gateway you can integrate 3rd party extension with your webstore. To the year 2013, mobile ecommerce has grown from $1.2 billion to $11.7 billion. With the help of Mobile compatibility customers can place orders and make payment through their smartphones. For making your website mobile compatible you can integrate 3rd party extension. Another way is the coding customization in HTML & CSS part of your website. Let your customers know that you are available on social networking sites, by having Social Media integration on your site. Some companies also use networking sites as their customer support systems, interacting with their customers for enquires related to their orders. Having a good social media presence will boost your online presence and brand. Require 3rd party extension to integrate social networking site with your webstore. Conclusion: Other than above mentioned features, a web store should contain user-friendly navigation, good graphics, special discounts and offers for User Groups and Newsletter functionality. For increasing sales via online business you have to provide order delivery in right time & right place. You have to assure your customers about your products by providing good return policy. For backend reports of orders, customers, visitors you can take help of Analytics reports to take pictorial representation of the same.